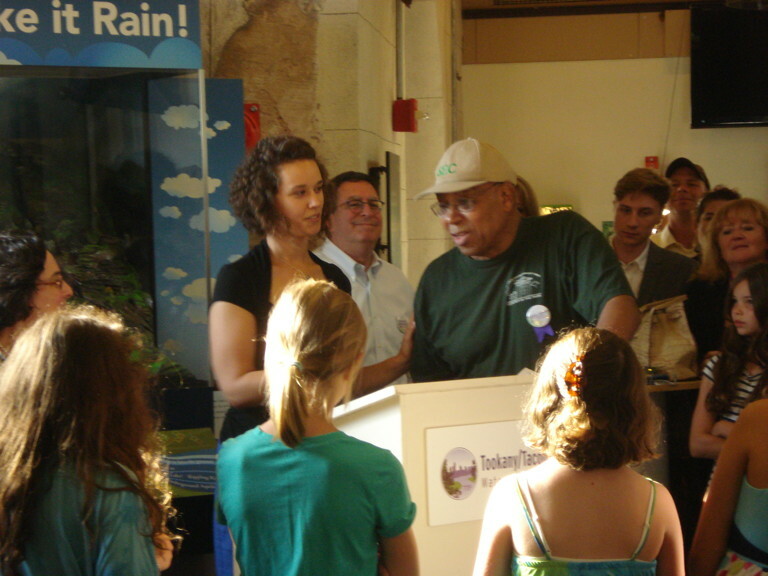 The Tookany/Tacony Frankford Watershed Partnership (TTF) held a special event at the Fairmount Water Works Interpretive Center on Thursday, May 31. A number of awards were given, including four people from Germantown involved in Friends of Vernon Park and other organizations. Ashley Schmid, Director of Education and Outreach TTF, gives Friend of the TTF Watershed Award to Fred Lewis, Senior Environment Corps and Friend of Vernon Park. Germantown Friends School 5th Grade Environmental Action Club students in the foreground. Ashley Schmid gives Friend of the TTF Watershed Award to Sue Finch and Ruth Seeley, Friends of Vernon Park. 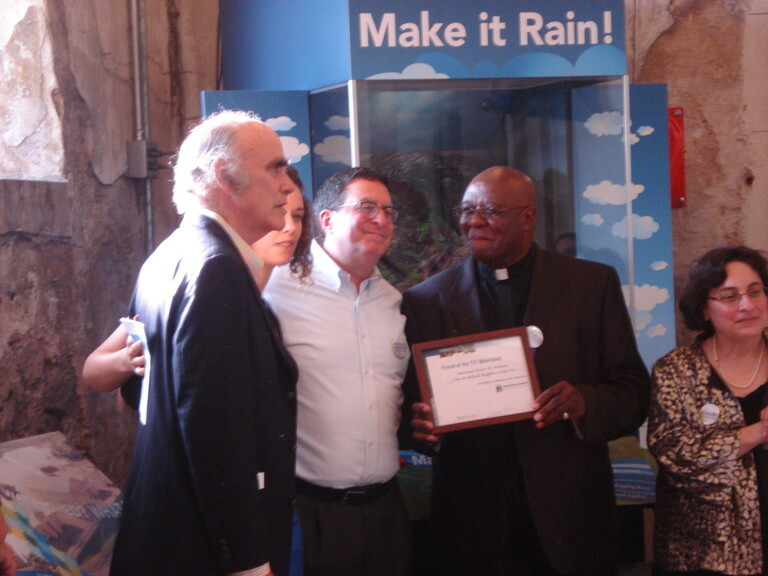 Gerald Kaufman, President of Board of TTF, Howard Neukrug, Philadelphia Water Department Commissioner, give Rev. 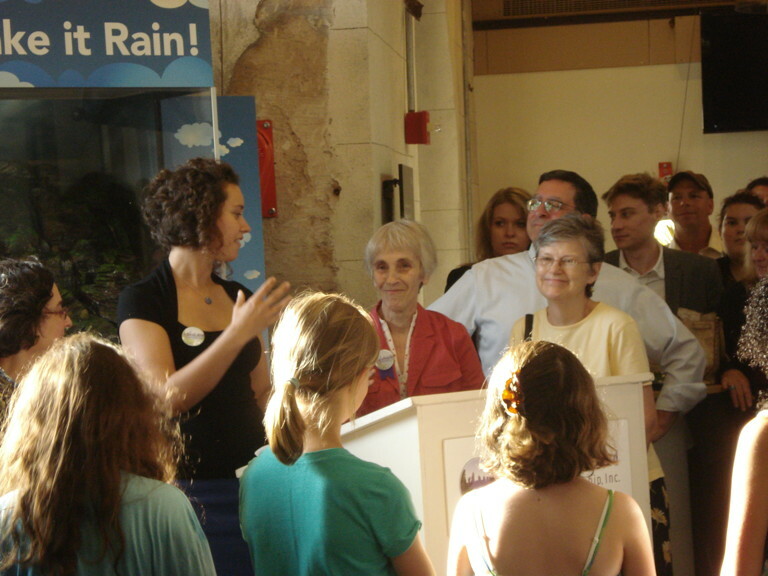 Williams, Chew and Belfield Neighbors Club, Friend of the TTF Watershed Award, with Julie Slavet, Executive Director TTF. Germantown Friends School 5th Grade Environmental Action Club students were given the TTF Watershed Youth Champions Award.